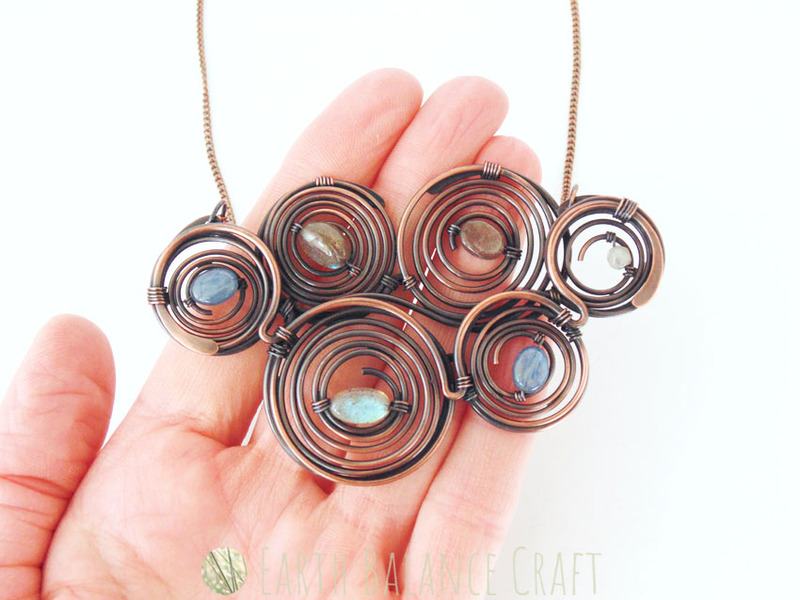 Semi-Precious Stones: Labradorite and kyanite. 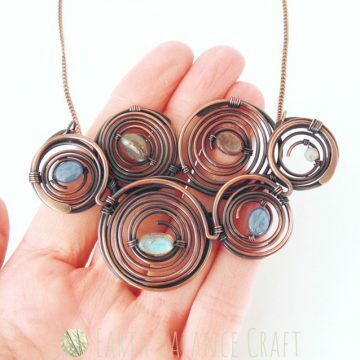 Metal: Solid copper wire with an oxidised finish that has been polished to reveal the metallic highlights. Brushed with a gloss varnish that is safe to wear on the skin. Feature Width Approx: 9cm / 3.4 inches. 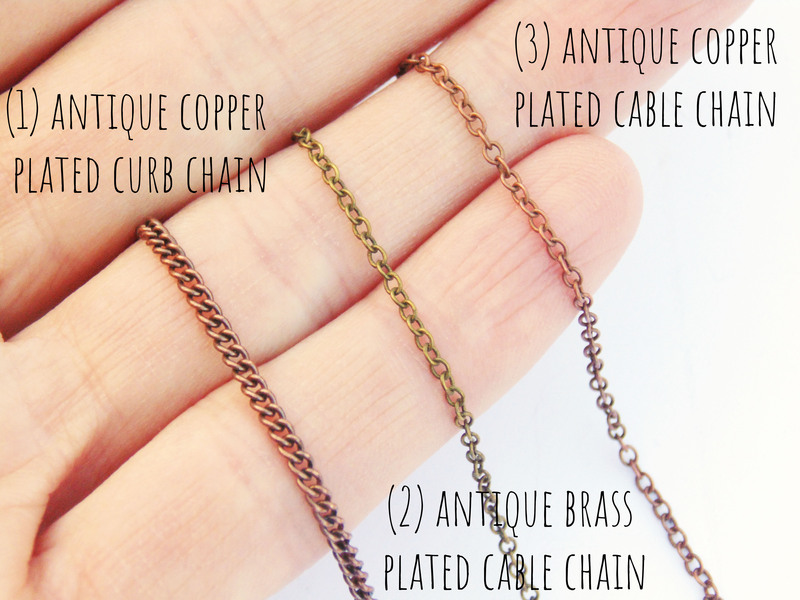 Necklace Length including Feature Approx: 43cm / 17 inches plus 5cm / 2 inches extension chain. 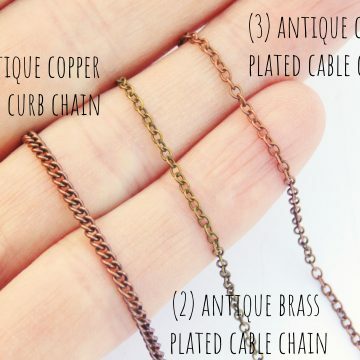 Chain Length each Side Approx: 19cm / 7.4 inches. If you would like a longer or shorter chain than stated here, please contact me before purchase to check for availability/quote. 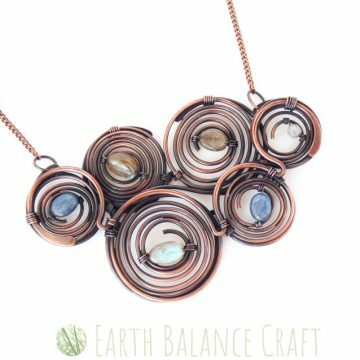 Labradorite is a beautiful stone that has reflective qualities, known as a mystical and psychic stone that helps you transform and strengthen. A strong stone to use to protect from negative energy. Seen to help bring co-incidence and synchronicity in life. In the physical body it can help de-stress, level hormones and help PMT. 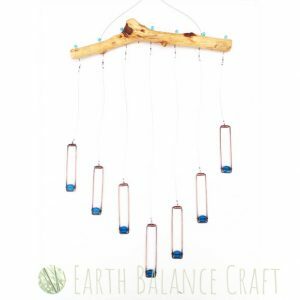 Kyanite is said to aid meditation as it is a stone that calms and soothes. Known to be help clear communication, enhancing physic ability and opening the mind. In the physical body it helps remove any blockages, balance the chakras and balance yin yang. 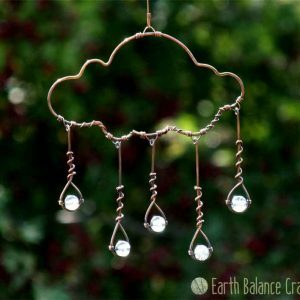 It doesn’t hold any negative energy, and is a good choice to help ease stress and negative emotions such as anger and frustration. 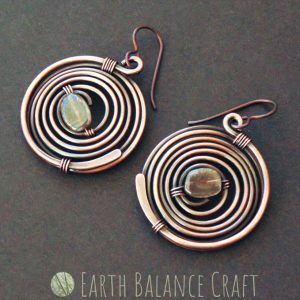 This pair of spiral earrings are hand-made with oxidised copper wire work and labradorite gemstones. Inspired by my ever lasting love of the British weather, the looming sight of stormy grey rain clouds that frequently grace our shores. 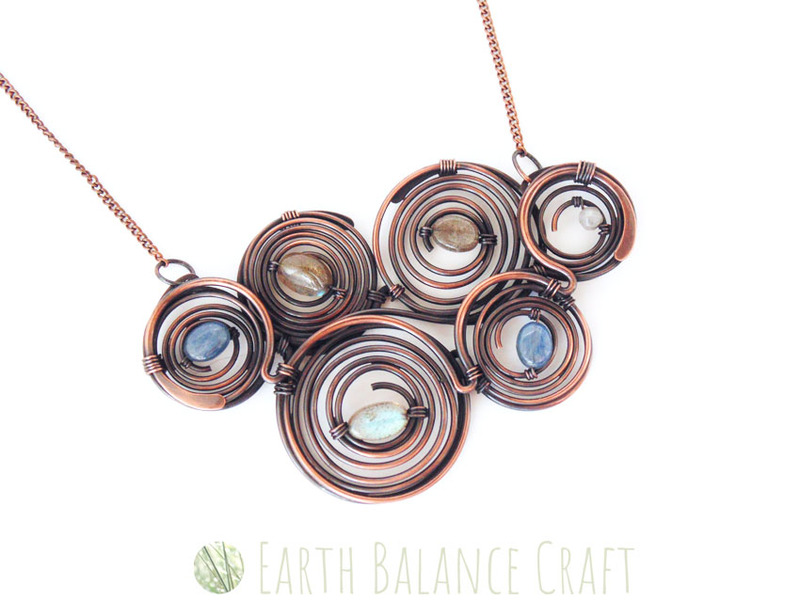 The spiral circle shape sits facing forwards, showing the whole earring design face on.